On Sunday, February 28, 2016 at Wildwood Community Church, I preached a message based on Romans 5:12-21. 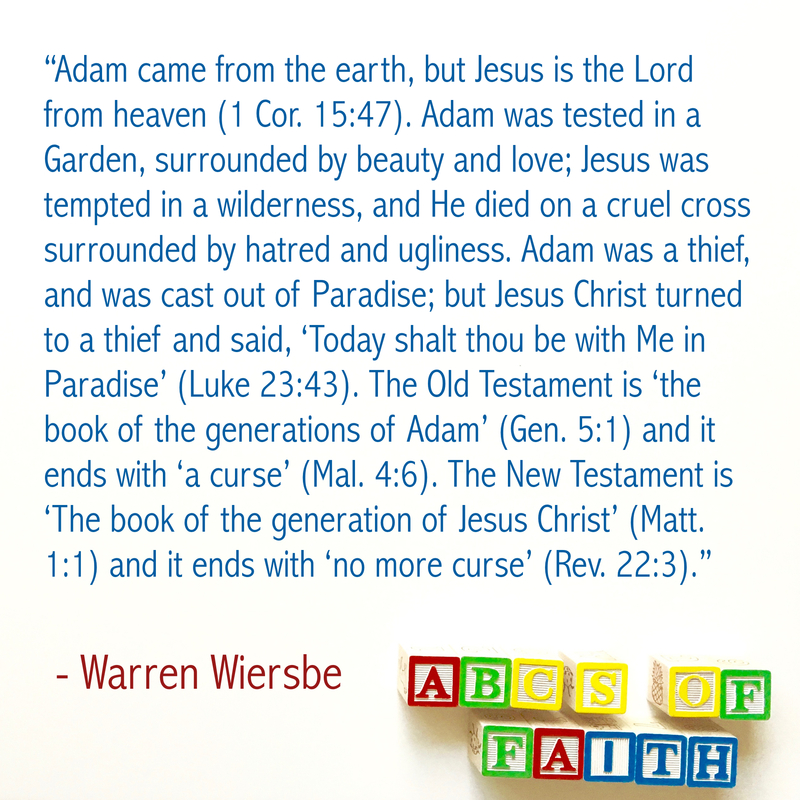 This message was the fourth and final message in the “ABC’s of Faith” sermon series. Below are a set of questions for personal reflection or group discussion based on this message. What are some things in life you have inherited from your parents that are “unchangeable”? What does Paul say we have inherited from Adam? Does this fact bother you? God’s holiness is displayed through His condemnation and judgement of Adam’s first sin. God’s love and grace are displayed through responding to humanities MANY sins since by offering His gift of grace through Jesus Christ. What stand out to you about the character of God from this section of God’s Word? Sin and death are the chief problems of this world (manifest a thousand different ways). In what way is Jesus the answer for the chief problem of this world? Have you ever trusted in Christ to be the One who offers you eternal life? What stood out to you most about this message? This series? Any applications God wants you to take in response to this section of His Word? To download a copy of these questions in pdf format, click here.